This workshop is for those who want to lead with passion while inspiring their teams to great performance. BP McCoy, former Marine combat veteran, business executive, wilderness expedition leader and author of "The Passion of Command: the Moral Imperative of Leadership", will share lessons from the battlefield, boardroom and remote mountain ranges to help attendees build an energized organization through Clarity, Consistency, and employee Connection. BP believes leadership is the X-factor, the difference that makes a difference. When done with clarity, consistency and connection, leadership not only metabolizes a company's vision and culture, leading to increased productivity and retention of their best people, and adds value to lives by unlocking the massive potential, initiative and passion in their workforce. This is a hands-on, introspective, leadership training where attendees will walk away with hard skills they can immediately leverage to set an elite culture in their organizations and inspire their workforce…. the biggest competitive advantage a company can have. Module 3: Connection. Without genuine connection between the leader and the workforce, all else will be sub-optimized. This module will give day-to-day methods to establish that connection through the social energy pathways of empathy, trust and authenticity. Over the past decade, technology has caused a tidal wave of change in the sales function. 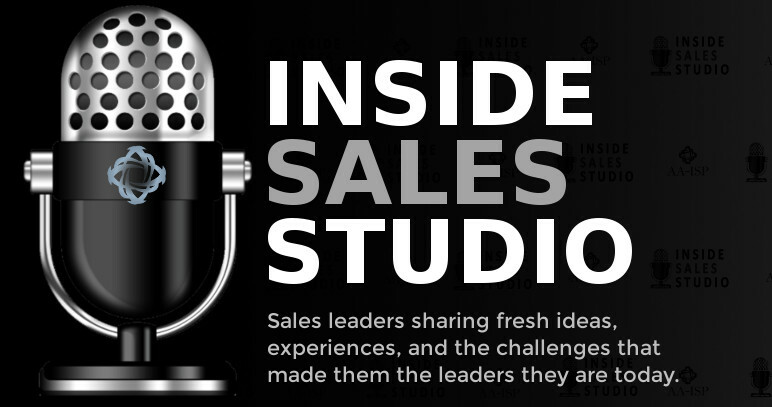 Inside Sales is gaining traction, and the demand for field sales people is on the decline. It is now easier than ever for companies to connect with potential buyers anywhere in the world. And it’s not unthinkable for a computer like “Watson” or “Siri” to schedule your next meeting with a prospect. In this session, we’ll reveal the results of a new study conducted jointly by Velocify and AA-ISP. We’ll take a look at the evolution of technology over the past decade and how its influenced sales communication trends of today. We’ll explore what the sales tech stack looks like in most sales organizations and planned investments in the near future. And finally, we’ll theorize what Inside Sales technology might look like in the next five to 10 years. Will trends like virtual reality put an end to business travel for good? And how far will artificial intelligence go in freeing up our reps time to focus on two-way interactive communication with prospects? "Is it me or is it getting noisy out there? Each year, there’s a new buzz around the latest sales / marketing trend. Listen, it’s not that these ideas are bad or that they can’t apply to us, but the honest scoop is that so many of them don’t apply to the majority of us -- Inside sales is a different sport than field sales, right? And which one should we focus on? Are we ready for this new idea? Every year my team and I coach thousands of Inside Sales calls and there’s a disconnect between what’s being marketed to our leaders and the current skills and abilities of our teams that we hear on calls. - Are you using it? - Is it actually working? We’ll talk about the “crawl, walk, run” of applying new trends, which are right for you to embrace, tips on how-to, and which are better for all of us to ignore." From Challenger Selling and Social Media to Gamification and Acceleration. . . no trend is safe from LB! Buyers have changed more in five years than in the last 50. They're hyper-informed, have data, information, and a level of expectations never seen before. To meet their needs, companies must transform into modern sales organizations. Modern sales starts with the human component. The best sellers are honest, sincere, they understand and put their customer at the center of everything. They're implementing repeatable, mathematical, and intelligent processes. They use machine learning to understand data and prescribe activities. There are two measurements that matter most. Optimize them and everything will fall into place. Having watched thousands of customers go to market, Kyle will share what he believes these two items are, and how you can achieve them. 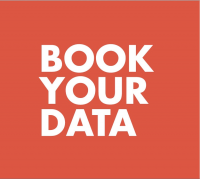 Conventional sales tactics are getting in the way of building the types of productive relationships that lead to strong bookings and sustained growth. Why? The process isn't focused on the entire buying committee, doesn't expose critical business challenges of the buyer, and doesn't encourage reps to build long-term relationships. Join LinkedIn Sales Solutions for an engaging discussion about the shortcomings of conventional sales tactics and the behaviors your team can adopt to succeed in the modern buying landscape. Innovation, fueled by believing in what’s possible, has created all of the net new jobs in the last 40 years. That innovation, with help in execution from technology, makes it possible to arrange the world as we want it. As a sales executive, you get to do it every day. Innovating to create your selling world as you know it needs to be to win. Your belief leads you to innovate, thereby creating the new truth in selling. And, collectively, we are creating a global new truth in a big way. Matt Millen, SVP of Revenue and Operations at Outreach, uncovers the path you take to realize your new truth and unleash that innovation to make it a reality. What does your selling world look like a year from now? It’s time to make it your new truth. For how long has the sales profession heard that coaching is a key to success? Every sales training provider, sales consultant and even a few sales executives have hammered away at the value of sales coaching. We have all seen the statistics on the impact of coaching and what happens when coaching is absent. But how many organizations legitimately have a culture where managers are properly prepared and incentivized to coach? It’s time for our profession to admit that coaching by managers isn’t the norm. So, what do we do….give up? Rely on hope and prayer? Join Tom Snyder of Funnel Clarity as he shares a viable alternative to the failed idea of manager coaching. A top-performing sales person can regularly produce 200-300% of quota. A miss-hire distracts the organization, never hits quota, and is gone in a matter of months. What predicts the difference? Sales leaders attending this session will take home early insights from the 2017 Inside Sales Hiring Benchmark Report. This joint research study between AA-ISP and Koru, the leaders in predictive hiring, analyzes what skills are most relevant for Inside Sales in today's innovation economy. While the marketplace is rapidly evolving, sales leaders still find themselves consumed by the same challenges—training, hiring, and performance. Small incremental changes aren’t enough to address these issues. Innovation is needed to get past these challenges and achieve more. In this session, you’ll learn how to use a 10X philosophy to create a unifying vision that will promote innovation within your organization and how this 10X process can create a high-performance culture, attract and retain top sales professionals, and achieve a New 100% sales level. As organizations chase double-digit growth with single-digit (or flat) headcount increases, the sales world is turning to coaching. Coaching is the catalyst for sales performance and salesperson engagement and retention. However, very few people agree on what coaching really is. Join this session for a best-practice-driven blueprint of coaching success and tactics sales leaders and sales executives alike can use immediately to make the development of people and teams their most defensible competitive advantage. During the final keynote presentation, Debbie Dunnam, the corporate vice president of Microsoft's Worldwide Inside Sales team, will provide insight into how Microsoft is transforming and digitizing the sales experience for customers. The company’s Inside Sales organization is leveraging leading-edge technology, world-class infrastructure, and a highly trained specialist sales force to enable them to drive business success in an era of digital transformation. Owners, HR leaders and Sales Leaders alike will benefit from our upcoming workshop on “Maximizing your Sales Candidate Funnel”. 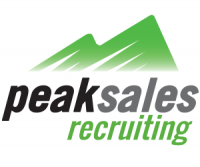 We will discuss every phase of the sales candidate journey – starting from the job posting, through candidate selection, and going all the way to the offer. We will provide you with best practices and tools you can implement immediately to improve every phase of the process and get you more quality candidates. You will walk away from this workshop with a call coaching scorecard – objective criteria for evaluating what a ‘good’ call is in your company. Steve will share best practices learned from over 100 companies and facilitate small-group working sessions. If you’ve been meaning to put in place a call review sheet forever or want to refine the one you have, this is your session. Come prepared with your current call evaluation sheet if you have one (though not necessary). Does your team have the phone scripts and call guides they need to be effective? Providing your Inside Sales team with the right scripted approach to handle the selling situations, the stalls, resistance, and objections they face day in and day out, means the difference between a successful team that consistently makes revenue and those that don’t. High-performing Inside Sales teams follow a best-practice, repeatable selling approach. Crucial in that approach is the creation and adoption of phone scripts that enable sales reps to handle effectively and confidently the selling situations they encounter day after day. •	Qualify prospects for crucial buying information like timeline, competition, etc. In this value-rich, hands-on-approach workshop, you will spend one-hour with the foremost Inside Sales script writer working today – Mike Brooks, Mr. Inside Sales. Bring any script you need to develop – or improve – and Mike will help you turn it into an effective, best-practice script you can take back to your team for an immediate lift in your team’s confidence and production. So come prepared with questions on prospecting or cold-calling scripts, follow-up approaches or closing or presentation scripts. Mike will share best practices and help you make the improvements that will make a difference for your team and company’s bottom line! Inside Sales professionals tend to take negotiating very personally. In fact, it’s one of the biggest obstacles preventing negotiating success. The solution to this dilemma is changing the relationship people have with negotiating by demonstrating how closely related negotiation is to an actual game. A negotiation, like all games, has rules that one must abide. For example, in Baseball, there are rules for how an offense can score points (i.e. home run) and of course rules for how a defense can prevent points (i.e. double play). Negotiation has these same parameters; there are tactics (offense) and countermeasures (defense). To play the game of negotiation successfully, one must use tactics to get a bigger slice of the proverbial pie as well as countermeasures to protect the slices they already have. In this session, Tony will share the must-have tactics and countermeasures needed to play the game of negotiation that will have a lasting impact on your bottom line. You’ll learn how to increase the productivity of your sellers using Teams, Power BI, Skype for Business, Outlook, and other features of Office 365. Motivated to boost your career to the next level? This interactive session helps Inside Sales Leaders move onward and upward into their next career position. Specifically, we’ll talk about the business needs for good leaders, overcoming obstacles, and the skills you need for the four common stages of an Inside Sales career: Startup, Manager, Director, and Vice President. Factor 8 Advisor, and former SVP of Inside Sales in technology, Regina Manfredi, will offer her best advice and help get your questions answered from a panel of current leaders at every level. Does your team sell hundreds or thousands of commodity products as a distributor? Do your reps say that aggressive pricing is the key contributor in closing orders? Dave Chwalik will present a value-based way of selling commodities. Learn new ideas and actionable tips to help differentiate your team as a relationship-oriented and value-based partner. What can physics teach us about sales? You don't have to be the next Einstein to realize your deal has disappeared into a Black Hole. But understanding basic principles of acceleration can help you deliver the Big Bang in sales that your organization needs. This session has a high probability of being more fun than your high school physics class. Everybody will receive a free copy of Brandon's book. And the door prizes will be out of this world. In many industries including technology, SaaS, manufacturing, and distribution, women represent just 12.8% of VP Sales positions and above. 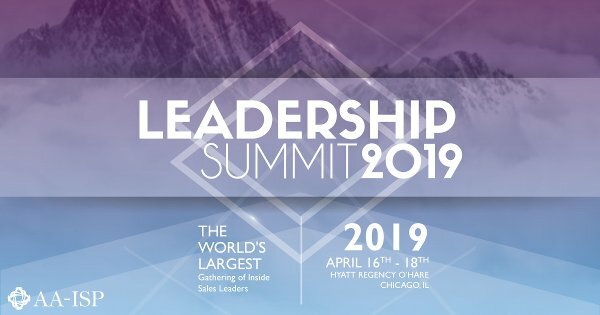 Rather than tossing around blame, we have an amazing panel of sales leaders first, and then small-group/large-group workshop second to offer key strategic takeaways for women in sales leadership roles and for C-level (men and women) looking for more women leaders. Retention of top women in sales is difficult too. We’ll collaborate on the top ways to do this in our session. Come with questions, ideas, and successes to share. 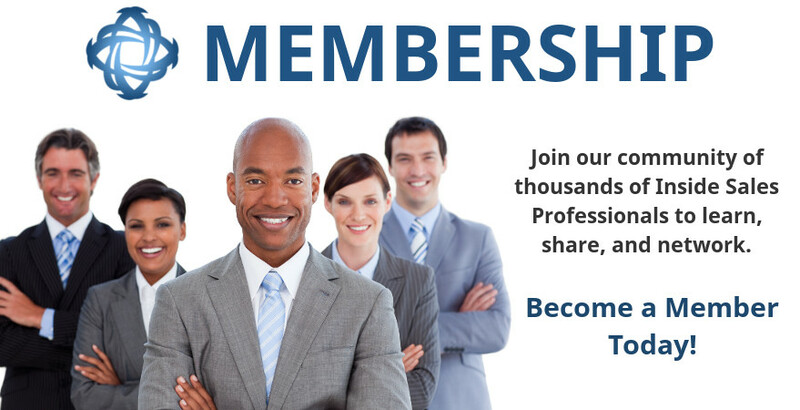 Everyone is welcome to attend – if you are a company leader or in sales leadership, we want you to join us. In today’s world, the intersection of sales and marketing is in a constant state of digital disruption. To thrive in this new environment, strategic leaders use technology to automate the customer journey and augment the remaining human interactions. This automation and augmentation of the customer/sales interaction creates an existential opportunity for Inside Sales executive leadership. This presentation will identify the digital disruption, describe the behavioral trends that are emerging, and discuss how to develop an efficient strategy for revenue generation in today changing environment. During this extended breakout, Mike will share highlights from his 20+ years as a headhunter, while walking through some do's-and-don'ts to focus on when hiring the right type of sales people for your company and positions. Would you believe that 1/3 of companies completely ignore their inbound leads? Or that 2/3 simply give up after two or fewer attempts to reach them? It’s true! The latest edition Sales Effectiveness Report on Lead Follow-Up reveals how effectively (or not) companies are at managing their inbound leads. This innovative report saw over 500 companies across nine industries secret-shopped, and the results were both encouraging and alarming. How’d they fare? How do you compare? Join Erroin Martin, VP of Sales at Conversica, as he presents the findings and explains what practices are strong predictors of success or failure with inbound leads. You'll learn how AI is revolutionizing Sales' ability to engage prospects, some best practices for boosting lead conversion rates (with or even without automation), and how to optimize your Sales team's time spend and maximize their success. Gone are the days of selling like a robot. The future is all about making meaningful first impressions. Ryan will deep dive through the principals and tactics he's implemented with his teams to get double-digit reply rates, and how you can do it too! If you run aB2B sales team, or if you prospect yourself, this talk with change the way you sell, and the way you think. We’ve all heard the phrase, “You only have one chance to make a first impression.” This is especially true when it comes to onboarding your new sales hires. Not only are your new reps getting their first glimpse of your company culture and performance expectations, they’re also experiencing their first, and perhaps most important, coaching session. The links between effective new-hire onboarding, ongoing coaching and mentoring, and long-term sales performance are well documented, yet few companies are prepared to capitalize on these connections to create and sustain a high-performing team. Consistently reported as a top challenge for Inside Sales leaders and Reps, it’s time to get serious about training your teams. So what should be trained? How do we get started when we have limited resources? What are the advantages of building or buying? And what does good training look like? Come pose questions to your peers and experts during this interactive panel. Facilitated by “LB,” president of award-winning training company, Factor 8. We’re ready for your tough questions! Sales leaders constantly look for tools that empower reps to match the level of sophistication contemporary buyers possess. These investments are meant to maximize sales productivity and performance at every stage of the funnel. Additionally, they must consider internal stakeholders in marketing, customer success, and finance when deploying new technology. This presentation focuses on designing a technology stack that maximizes the efficiency and effectiveness of your sales efforts. In this 45-minute session, Jamie Shanks, CEO of Sales for Life, and #SocialSelling Strategist, Jill Rowley, will show you the tactics that hundreds of the leading Inside Sales departments are leveraging with Social Selling + ABM. For these companies, it's "Account-Based Everything". 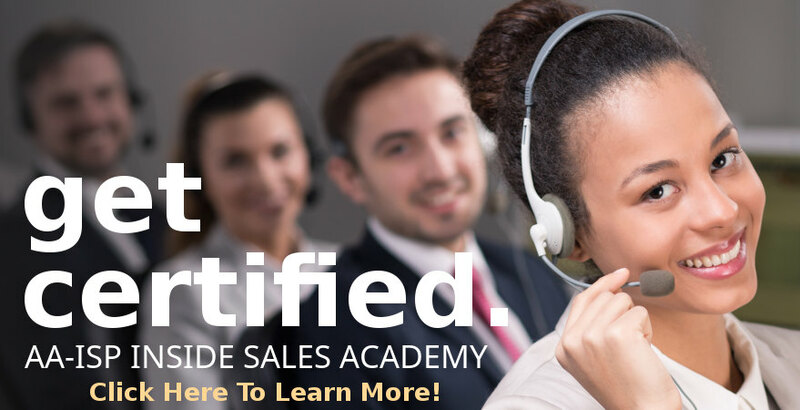 This session is all tactics, no theory, as Sales for Life has trained 75,000 sales professionals, including AA-ISP member companies like Thomson Reuters, ServiceNow, Tibco, ADP, Oracle, Intel, and many more. The ability to connect with others is a major determining factor in reaching your full potential. It’s no secret! Connecting is a skill you can learn and apply in your personal, professional, and family relationships - and you can start now by attending this captivating session sponsored by Zoho! Learn how Rob and his team transformed their new rep onboarding program from a weakness to a strength. Whether you think your onboarding program is pretty good or could just use a tweak (or let’s face it, maybe it needs a total overhaul), this breakout will help you find ways to improve. Take advantage of this expertise and experience to help you get those new headcounts up to speed and producing for your organization as quickly as possible. For many, the term “Sales Enablement” is akin to social selling five years ago: not sure what it is, but it’s going to be important. This session is for the novice, intermediate, or advanced enabler who wants to see the results of a recent in-depth qualitative study conducted with sales enablement directors. Chris Beall, CEO of ConnectAndSell, will share concrete, actionable breakthroughs learned from analysis of more than 5 million sales conversations: how to survive and even dominate each round of the fight within each conversation, including cold calls. This blow-by-blow battle plan covers what works (and what will get you knocked out) from the opening bell to a victorious closing: how to study, research, open, get to value, close for the meeting, and maximize your chances of victory in each of the four outcomes of any sales conversation. 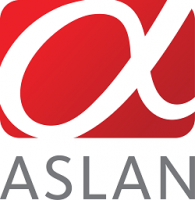 A large percentage of AA-ISP member companies of all sizes and industries are expanding or improving their organizations in geographies outside of the US. Whether you are considering expansion outside of the US, or already have a team located in Europe, APAC or elsewhere, please join us for an informative discussion on the trends, challenges, and best practices in taking your international team to the next level! Inside Sales organizations who sell 100’s or 1,000’s of sku’s, either direct to user or through a distribution channel, have a unique set of challenges and needs. Our panel of experienced sales leaders will discuss these common challenges along with solutions and best practices they have used to address them. There will be ample time to ask questions and provide your own tips during this session. Learn some new ideas that you can put to use right away. An estimated 9 out of 10 Sales Development Reps (SDR's) miss quota their first quarter when they transition from an SDR to a quota-carrying sales position. For most sellers, it's a radical change in mindset to go from "selling meetings" to selling product(s) and managing a forecast. In one of Ken's consulting projects, he was hired by the CEO & CRO to rebuild the global SDR program. In 6 months, he rebuilt the team, optimized the CRM process, implemented sales productivity tools, and provided the critical training and development necessary to deliver a 486% increase in accepted opportunities by sales. At the same company, the following 12 months he rebuilt the global corporate sales team and delivered a 173% revenue quota attainment at the conclusion of project. 100% of the SDR team was promoted and successfully transitioned to quota carry sales roles, all hitting quota their first quarter in their new role. Join us for a knowledge-packed session as we walk through the 10 steps to make the leap from selling meetings to hitting quota. This session is designed for all sales leaders and executives. There are now more ways than ever before for prospects to find and reach out to companies, and there are many more channels for companies to engage with prospects. Leads are coming from a wide variety of sources, they are arriving at different stages of the buying process. Closing the deal requires more persistent follow up than ever before, but studies show salespeople are simply not making the calls. What’s more, technology that should be assisting the salesperson sell more and be more productive ends up becoming a distraction that only adds to the problem. What role should technology play in your sales environment and how do you ensure that technology will help your salespeople follow up with the right leads at the right time? Jake Reni, Director of Inside Sales at Adobe, will lead an in-depth discussion on the one of the top challenges facing our profession as identified in the 2017 Top Challenges Research, lead quantity and quality. Technology, web marketing, and automated campaigns have produced an abundance of less than qualified leads which make their way to SDR's or Sales. Jake will present actionable tips on how to improve the quality of leads which, in turn, help with conversion rates and downstream revenue. Come prepared to ask questions and share your own ideas during this collaborative session. To be successful, sales organizations must be nimble, implementing change quickly and successfully, while keeping sales staff invested, engaged, and performing at a high level. As in the book "Who Moved My Cheese? ", in today's sales environments, we'll always be moving our sales staff's cheese as we optimize our products and services or our processes. To be successful, though, sales leaders must be effective at motivating their staff to come in every day and put in the effort to keep finding their cheese and do it in a way where they still feel valued, engaged, and rewarded. It's not easy, but it's possible, and through the success of Kevin Gaither and Jason Blais at ZipRecruiter in this area (not to mention some painful lessons learned along the way) they will provide strategies to implement to achieve success in your own organizations. Want to improve the accuracy of your sales forecasts? Need more insight on sellers' activities so you can pinpoint the ones that lead to success? None of this is possible unless your team is keeping your CRM clean and updated. Sales leaders and sales ops professionals will leave this session armed with strategies for improving the quality of the information in their CRMs so they can drive better results for their businesses. By 2020, 50% of the workforce will be millennials - a generation that will have played over 10,000 hours on a gaming platform before 21 years old. It is a generation with skill gaps that cannot be tackled with a one-day trainer, boring online videos or outdated manuals. If you want training to upskill new reps faster and drive sales, then you must adopt new training methods to ensure your sales team is prepared. In this session, get hands on to see how gamification can revolutionize the way you train your sales reps. If you can't reach your most important accounts and prospects, how are you supposed to sell? Some marketers have turned to a little-known, shadow form of marketing that doesn't even have a name. That is, until our speaker named it Contact Marketing in his new book, How to Get a Meeting with Anyone. Contact Marketing is a fusion of marketing and selling, using specific marketing campaigns to support connecting with specific VIP prospects, like CEOs, C-level executives and top decision makers. The metrics can be stunning, with response rates as high as 100% and ROI in the tens, even hundreds of thousands of percent, at a cost per contact ranging from $0 to $10,000. In this session, you will take away five methods for connecting with C-suite executives you can start using today. • Transfer ownership of Contact Marketing to audience members; they're part of this movement, too! Whether you’re just starting out or leading an experienced sales team, join Bryan Summerhays to learn how to unlock team performance by leveraging sales science and human engagement. Discover how to create your sales GamePlan by combining the right Metrics and Tools with a powerful Coaching Methodology. It's harder today to engage a prospect than it has ever been before. You will see real results from different companies, different functional areas and different industries. It is not just about touching a prospect six times, it's knowing what YOUR business should be doing, not paying attention to averages. It is very dependent on what level you are calling, what job function, what industry and the size of the check you are asking prospects to write. 1.4M results from 300,000 leads will be shared with the audience to help get you on the right track for your business. CSO Insights just released its first-ever sales management study. The main takeaway? Quota attainment has decreased since 2012, and the missing ingredient is sales manager enablement. The research points to a very specific area that sales managers need to be enabled around: “ ... managing the right activities and coaching the related behaviors (leading indicators) that lead to the desired results (lagging indicators).” But which leading indicators should sales managers focus on? Calls? Building new pipeline? Meeting with VP’s? LevelEleven’s research team analyzed 3,000+ sales KPIs being used by 800+ sales teams (with a special emphasis on inside sales teams) to find out. Leaders will walk away with an understanding of the most common KPIs used by the top inside sales teams, as well as how those differ with other selling roles. You will leave this session with a clear understanding of why a KPI-based approach to managing your sales team is important, a roadmap of how to define your own KPI’s, and how to get them in place quickly. This session with Manny Alamwala, Creator of the Sales Journal and Sr SDR at Vision Critical, is geared to SDR Managers and SDR’s looking to gain easy-to-implement habits from top performing SDR's and to learn the internal systems they rely on. Looking for the most current, best-practice approaches to cold calling, prospecting and closing sales by phone whether inbound or outbound? Learn a set of best-practice approaches to handle repeatable selling situations your team faces day in and day out. •	The best practice approach for grabbing immediate attention? Get ready to learn a set of proven, best-practice approach scripts that you can take back to your team for immediate lift and long lasting success! Why do companies pay George Clooney millions of dollars to appear in their advertisements? Before you answer, consider the price your team is paying for guessing instead of using the science of emotional intelligence to answer the following questions for each prospect. 1. What is the best strategy for building rapport in those first critical minutes of a conversation? 2. What are the most emotionally engaging prospecting messages? 3. Which emotional drivers should I focus on and what micro-commitments should I ask for throughout the sales process? 4. What do I naturally do that I must not do when dealing with this person? Research shows that the right answers to these questions propel a sale forward and the wrong answers kill a sale. Even so, most salespeople guess at the answers. In this session, you will learn how to create an emotionally intelligent selling and marketing culture where every salesperson knows exactly how to answer these questions for each prospect. Companies use George Clooney to promote products because of his amazing ability to project likability and trustworthiness. If you compare the persona George projected in his early work to how he projects himself now, it is easy to see that his amazing abilities were learned. Just like George, you and your sales team can learn to be more emotionally intelligent and to project the likability and trustworthiness that will win more sales. In this group setting, we will cover best practices in all things sales development, roles of SDR, what tools you need to be successful, and more! Join this interactive discussion to get answers to your toughest questions, and hear experiences from our panel of experts on what works and what doesn’t. Buyers have never been more educated and prepared, and as a result, sellers need to exceed the new standard. In this engaging session, you will learn a modern sales mindset and approach to more successfully attract, qualify, acquire and grow your customer base by selling to people the way they want to buy. Create individual awareness but also ensure a high return on investment from assessments, sales training and CRM or any other investment your company makes in your sales team. The AA-ISP in conjunction with RevenueForce have embarked on establishing an industry standard similar to a FICO score that rates the individual’s probability of paying back a loan and it is also dynamic in the improving behaviors can change the score. This score will rate the individual’s probability to meet their business results. •	How to provide a road map for success for your average performers from a results, activities, skill and attribute perspective. •	How to drive individual accountability for business results and development. •	How to diagnose “why” someone is under-performing and what corrective action needs to be taken as a sales leader. •	How to reduce onboarding and time to effectiveness for new sales reps.
As customers and consumers have greater access to more options in everything from technology to retail goods, the main differentiator becomes their experience. What we see happening is customers are no longer buying a product or service, they’re buying to have the best experience, or the outcome. Leaders in this space must wrap their heads and business models around new and different outcomes desired by customers of the future – new consumption types, new key performance indicators and new success metrics. This means that customer experience teams are coming to center stage and up-sell / cross-sell opportunities regularly have higher revenue potential than the initial sale. Is your organization structured to take advantage of this staggering trend? Do you as a sales leader own the customer success team? What tools are in place to help manage customer loyalty and touches? Do your service teams have the sales DNA to effectively execute add-on sales? Come learn how one company spotted the trend and is readying their 2000+ person salesforce to get ahead of it.